The weather was already on the cool side and we have had our share of freezes over the past few months. Our Monster Spinach didn’t seem to be doing much bu surviving. When I got back from Prague I took a walk through the garden and WOW had it taken off. I have been picking it for a few weeks now and it just keeps growing and growing. Today it is going in a quiche, some empanadas and a pasta dish. 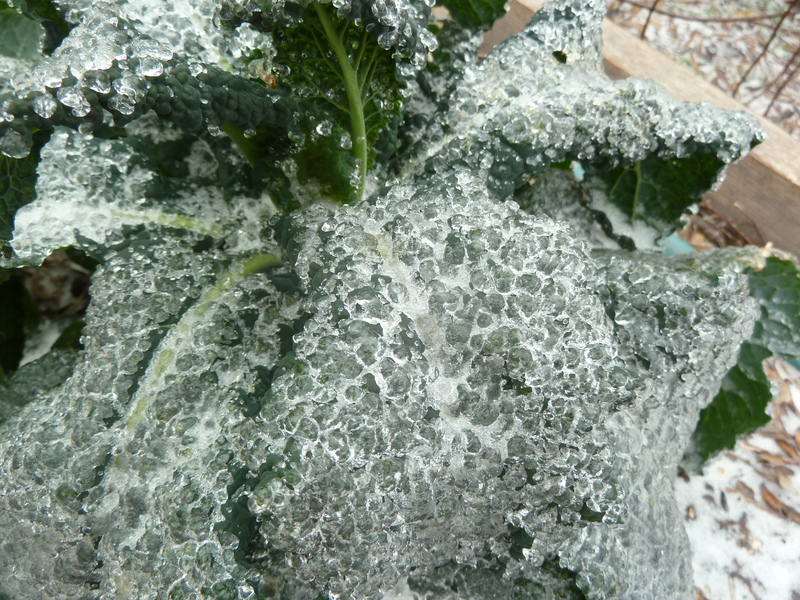 I know I will even have enough to freeze to add to things this summer when all the leafy greens have disappeared out there. 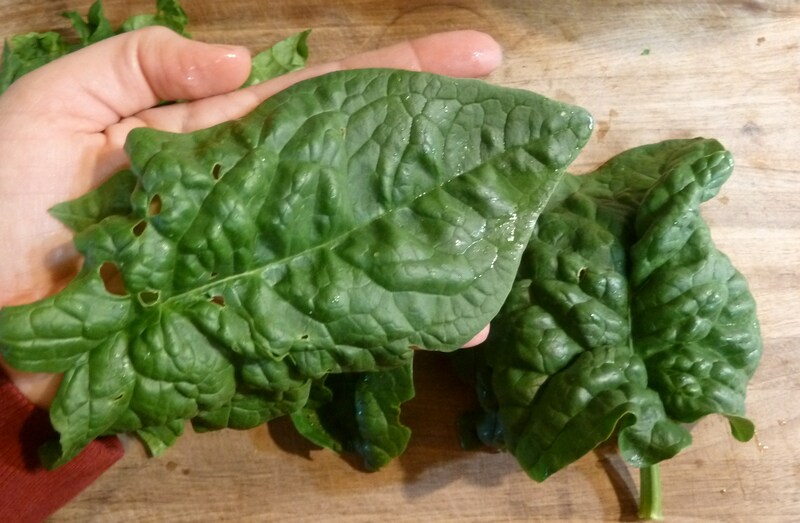 I haven’t done any research on this “Monster” spinach, other than a newspaper article I read that told me it was an heirloom. I do know that when it bolts I will be patient and hold out for seeds this spring. 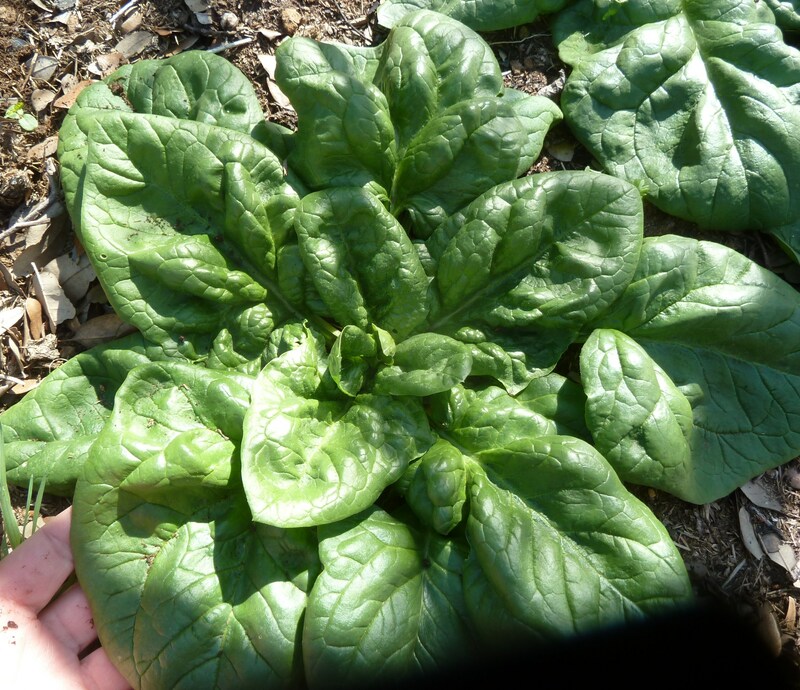 Do you have a variety of spinach that grows well for you? And how do you to prepare it? My winter garden is doing alright this winter. It is missing a few things that did well last year, mainly turnips, but all in all I am happy with what is growing out there. I didn’t plant as much lettuce as I did last year. Last year we were rolling in it and I was giving it away, so I cut back this year. Now I don’t have enough so I have new lettuce started. 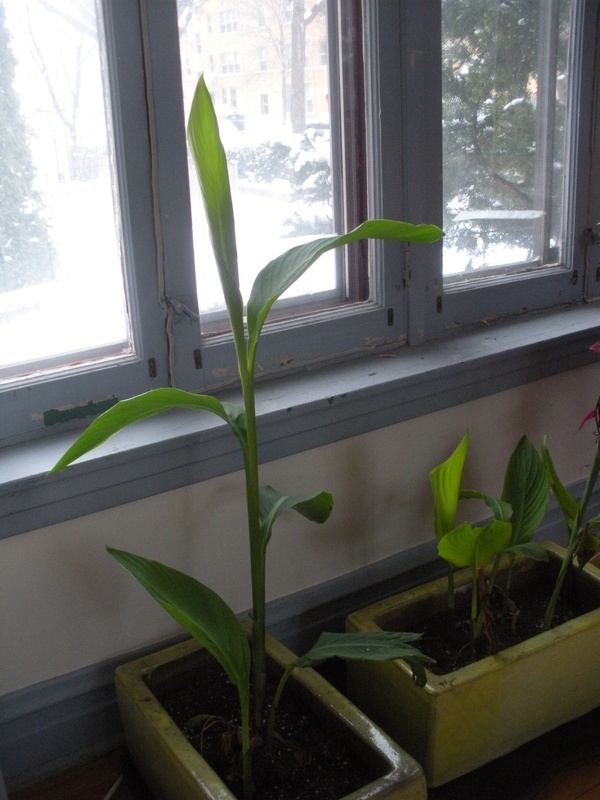 It is growing slow slow slow, but it is growing and we will be eating it before too long. This year the big producer is spinach. I have struggled to get spinach growing really well the past few years. I have tried starting the seeds indoor, direct sowing them and even transplants. This year, I put in transplants again and they have grown great. So the spinach is filling in were the lettuce left off. Along with the chard and kale, the greens are great. I am still dealing with limitations since my surgery and I am unable to harvest anything in the garden, so I rely on my husband. A few days ago we headed out there. The spinach was in desperate need of a hair cut and I told him that if he wasn’t going to be home during any daylight hours anytime soon that I would be out there holding the flashlight for him. That spinach really needed to be picked! As you can see, spinach has been on my mind (and in our tummies.) It gets chopped and thrown on top of pizza. It goes into every fresh salad. It get steamed. It goes into quiches. 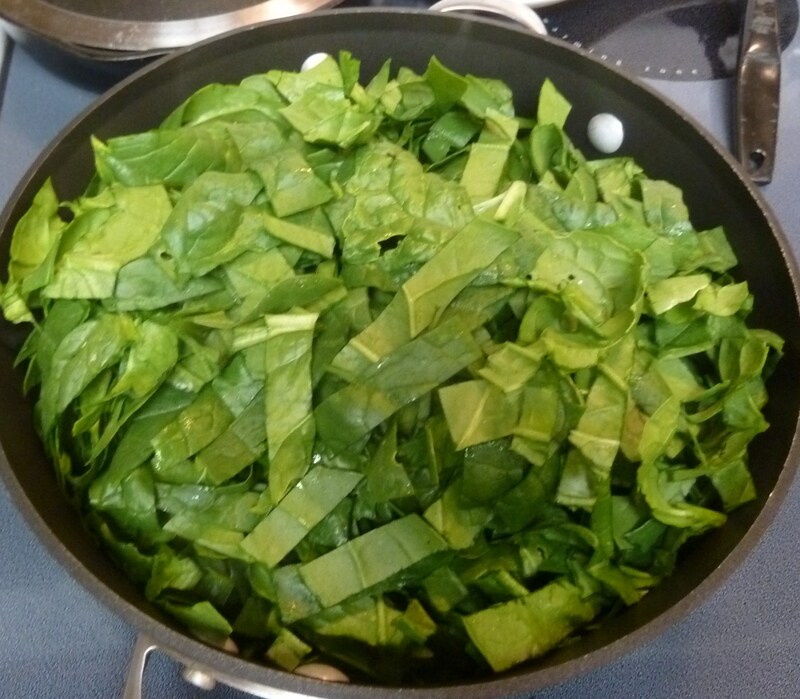 Every meal seems to have spinach (or another green) it it one way or another. 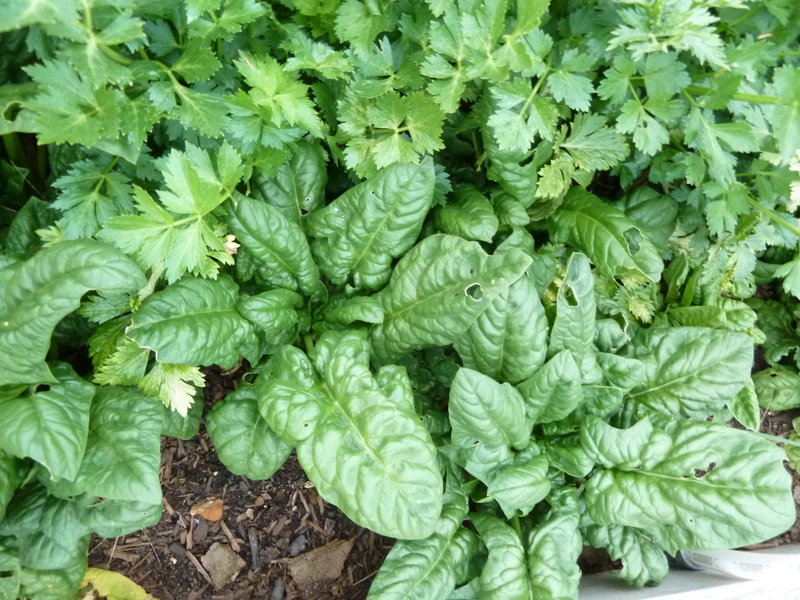 In fact, I am going to try to extend the harvest by making up some spinach pesto to stash in the freezer for the dead of summer when it won’t be growing here. I will be making Green Linguini – the reversed version. Using spinach pesto and fresh chopped basil instead of the other way around. Have you made pesto out of green thing other than basil? It is winter here in the Northern Hemisphere. Some people have no chance of a garden to grow anything this time of year. Others are able to grow some things with the help of green houses or row covers. 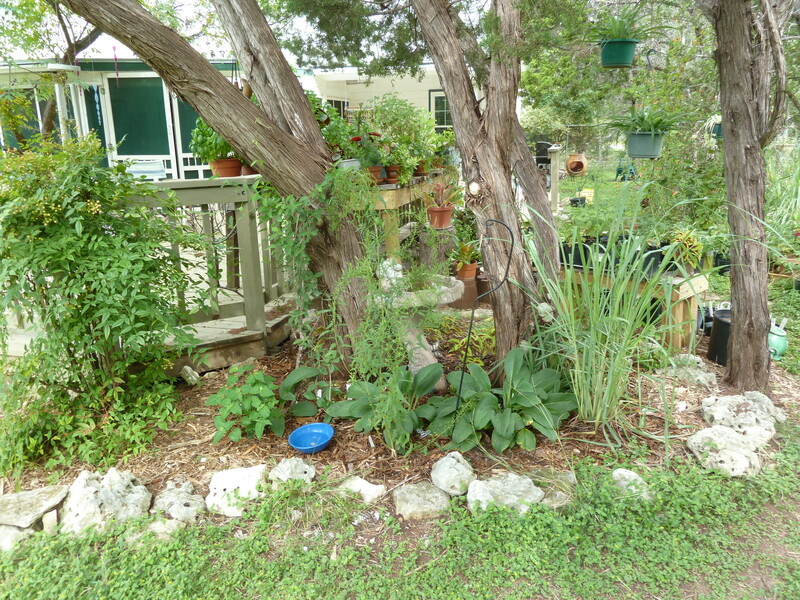 In some areas people have gardens that are flourishing and growing strong in the winter. I (Sincerely, Emily) am thrilled to have a growing season in the winter. Our winter garden is flourishing and the farmers markets have an abundance of winter veggies to sell. I look forward to the winter planting of lettuce, kale, chard and spinach because it is the only time of year that is will grow here. It is just too hot in the summer. I am picking broccoli and onions. Soon to be picking cabbage. Green is a lovely winter color in my garden. Northern or Southern Hemisphere – What are you growing right now or What are you buying? October has been a busy month around here. 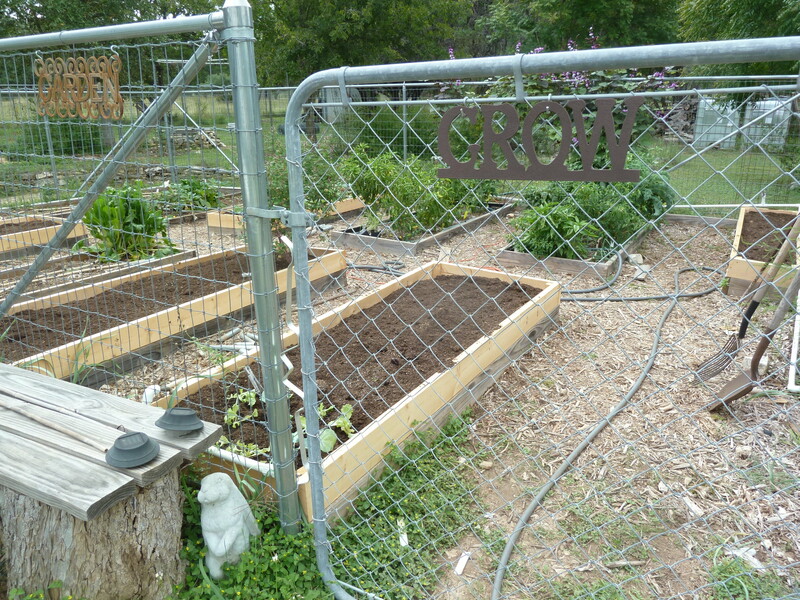 One of the projects I have taken on is raising my raised bed – higher. You can see in the photo below that I have finished about half of the beds. I was really pushing to get them all done before I left for Minnesota and Wisconsin, but that just didn’t happen. In fact, I still haven’t finished them. I have two full beds of pepper still growing and producing, and I can’t bring myself to pull them out just to finished those two beds. I haven’t been able to find onion sets to plant yet, and usually don’t plant those for another 2-4 weeks anyway, so the peppers can keep on growing. The seeds I have started (winter veg) are so far behind that I broke down (again – happened last year too) and bought things from a local nursery so I could get some of the beds planted and started before I left town. We have been still quite warm here (high 80’sF) with warm nights in the 70’s and very humid over the past few weeks. I haven’t even thought to start lettuce yet, but that’s alright, some of the volunteers are coming up in the walkways between the beds and I have transplanted them. They are growing really well and I can start picking lettuce! 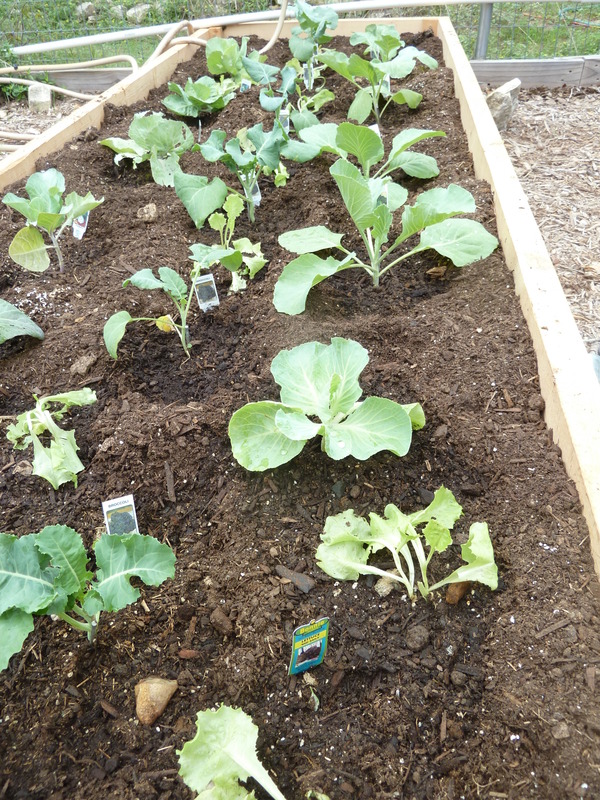 The cabbage, lettuce and broccoli in the photo above where planted 2 weeks ago and are growing really well. They are growing so well that you can’t even see much of the exposed dirt anymore, they are filling out nicely! I have epazote (above) that has gone to seed and lemongrass that still needs to be harvested. The comfrey is looking very very happy with the cooler temps of fall. All of my herbs have really perked up after a long, hot, dry summer. I have taken cuttings from some of them and they are ready to get planted around the various herb and flower gardens. Little by little I will take more cuttings of the different herbs to use for plants swaps and also around my gardens. 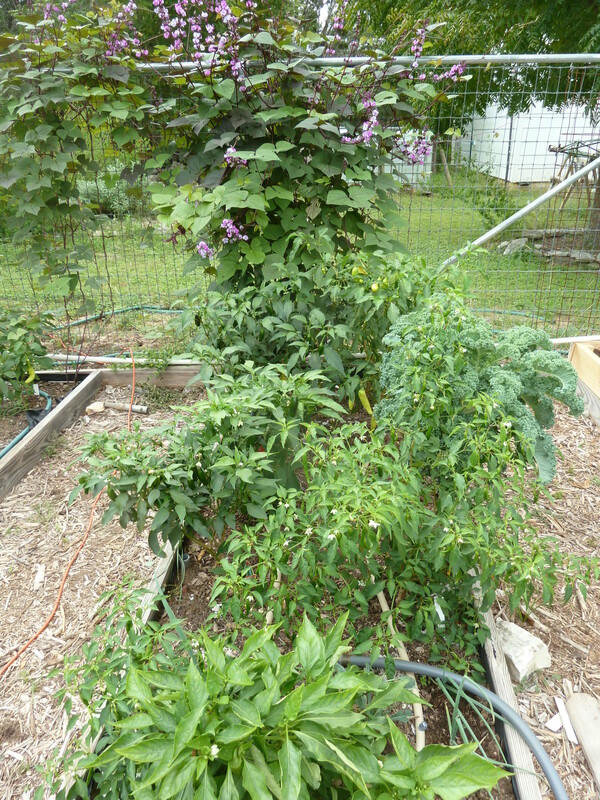 The pepper plants are also thriving in the cooler temps. I am always thrilled if I can keep the plants alive through the hot summer months because I know once the temps get into the low 90’s and 80’s that those plants will just take off and go wild. They haven’t proven me wrong this fall and I have a counter full of peppers. The hyacinth bean vine is also showing off, finally. 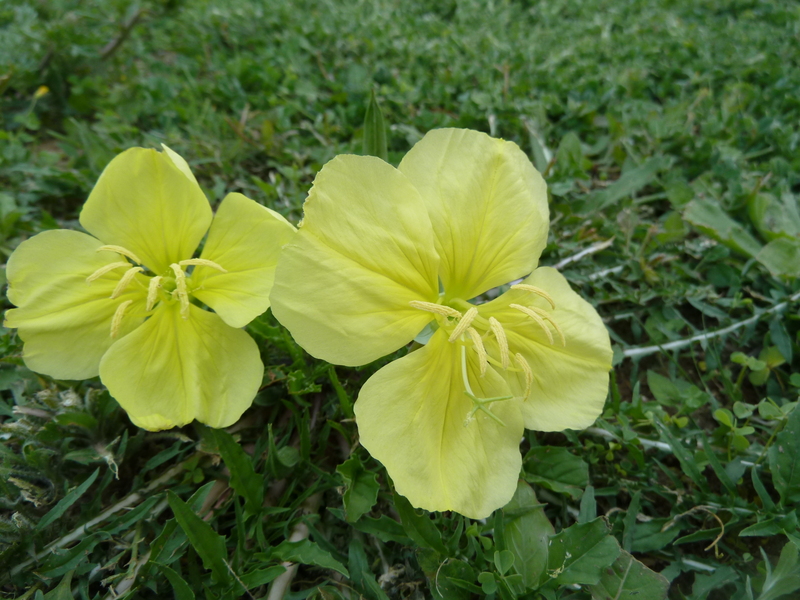 It grows well in the hot summer months here, but it doesn’t bloom until late September or early October. Sometimes I get frustrated waiting, but when the temps drop (again, below the high 90’s) the vines really improve overall and the flowers start blooming. I have many more things to plant and look forward to a wonderful fall/winter garden. Thursday night we dipped down to 60F (I know that would be a heatwave for those of you living in the north part of the Northern Hemisphere) and all day Friday we hovered around 60F. I finally feel fall! We had a really hard summer here in South Texas last year and I know we were not alone. As we headed into winter we started getting a little rain. The winter went on and the rains continued little by little. Every little bit has helped, but it still hasn’t been enough. The winter in my area was much milder than it has been over the past 3 years. My winter vegetable garden has done extremely well and I only remember watering it in the fall to get things started. 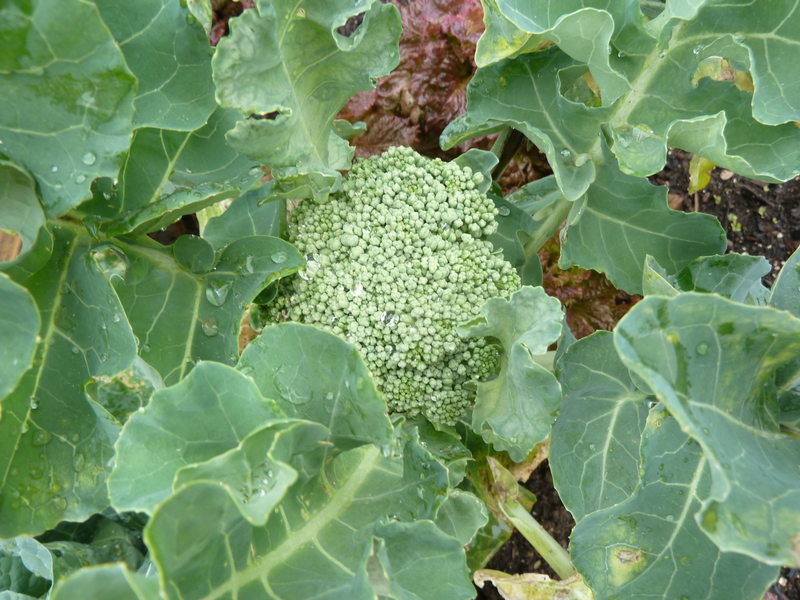 After that, the rains took over and the cooler temps really kicked those winter veggies into grow-mode. I need to make some notes in my garden notebook… mainly, plant more next year! In the past few weeks our weather has become quite warm and spring fever is just pushing me to get the vegetable seedlings in the ground. The wildflowers and other “weeds” are growing like crazy. Those seeds all lying in wait for the spring rains and the warmth of the sun to be able to germinate and emerge. 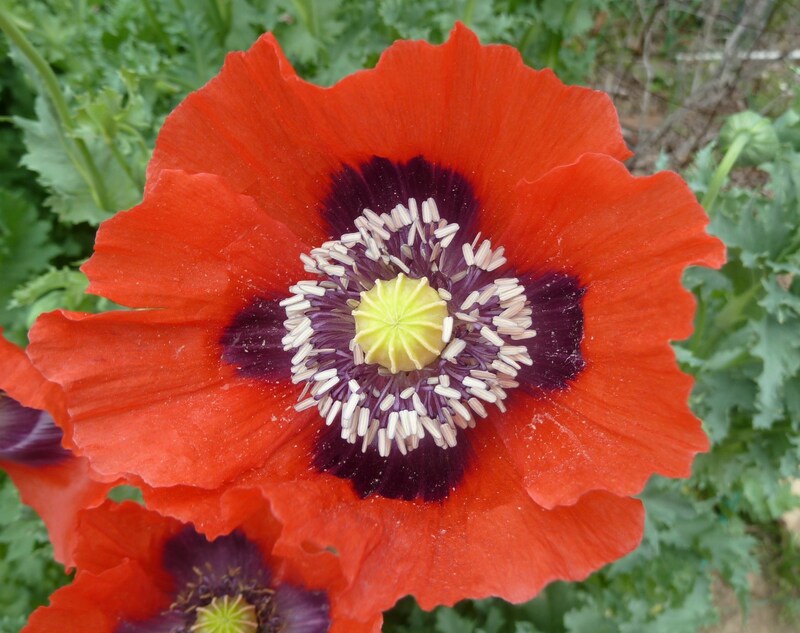 They have started to grow and bloom, and produce seed to be able to continue the cycle of life. I don’t mind the wild flowers, but the weeds are out of control this spring. Thinking of all those seeds lying dormant, waiting for rain and sun, full of hope. I feel the same way. I have hope for a better spring gardening season; better than last year. I am hopeful that we will continue to get some regular rains. I am hopeful that the temperatures don’t rise so quickly. I am hopeful that my vegetable seedlings and other plants have a chance to put down deep roots and grow healthy leaves and have enough energy to produce food. 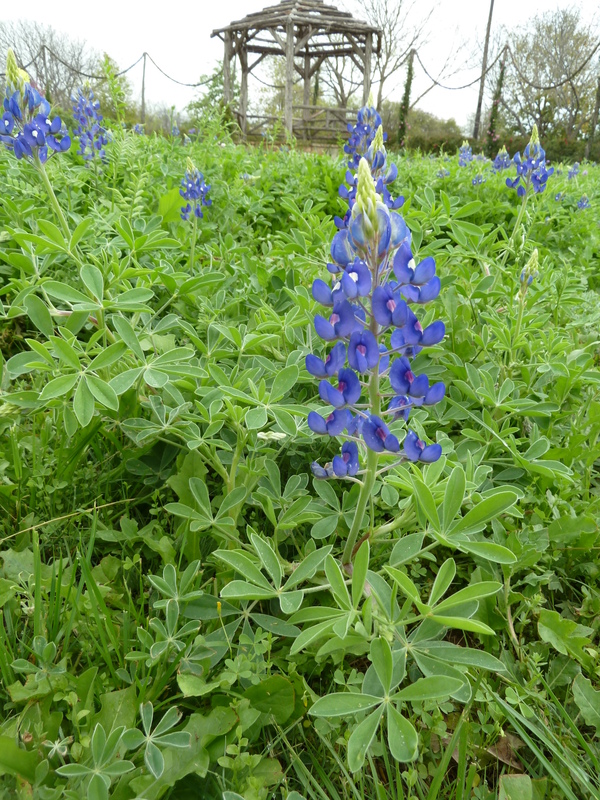 As I look around, I see beautiful wildflowers, many of which are growing right in my yard. Everything is so lush and green, and the trees seemed to have budded out overnight, and many are full of new green leaves. I have decided to plant a few tomatoes out in the garden already, not all of them, just a few. I will plant a few more at a time, testing the weather, hoping Mr. Frost doesn’t pay a visit. I am hopeful. Are you hopeful this Spring? If you live in the northern part of the United States and are hoping to have a fall garden it’s time to start seeding all your leafy greens, radishes, turnips, kale, bunching onions, and peas. Since I’m attempting to grow more food throughout the year instead of relying on canned summer produce, I’ve been meticulously planning my fall planting schedule and trying to stick to it. If the weather is normal it looks like I should have a nice fall crop of veggies, and I hope I can overwinter some for harvesting in Dec, Jan and Feb.
One of the great things about gardening is that you can experiment. When you live in a cold climate you can attempt to plant a second round of certain crops like beans, zucchini and cucumbers. If you get an early frost and no harvest all it cost you was a few seeds and some time. 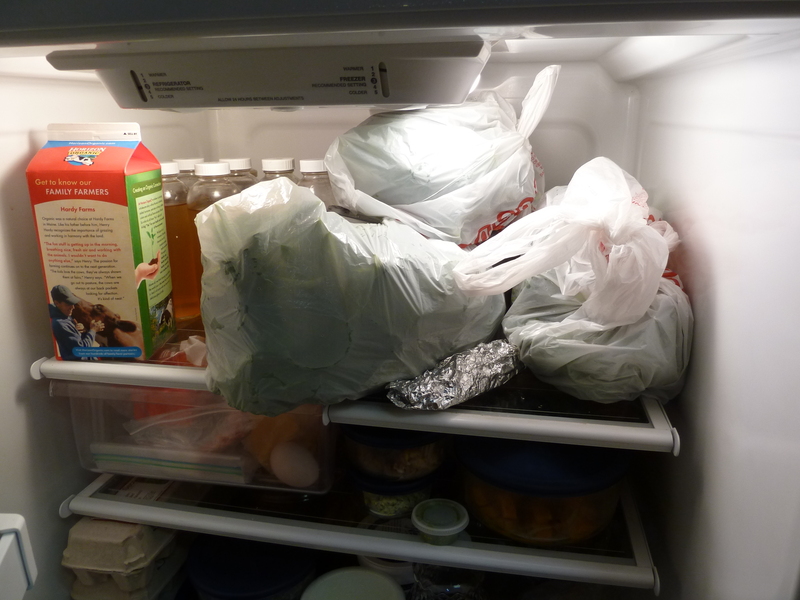 If the weather holds off, you’ll get a good second harvest your pantry will be stocked with even more winter goodness. I started some cucumbers back July and transplanted them a few weeks ago hoping to start getting a good flush of cucumbers for pickling near the end of September. I planted a lot of cucumbers hoping to have enough to do large batches of pickles. I planted 15 cucumbers plants at my mom’s house and 25 here in my gardens. Let’s hope we’ll be enjoying vats of fermented pickles all winter long! Have you been wanting to plant a fall garden? 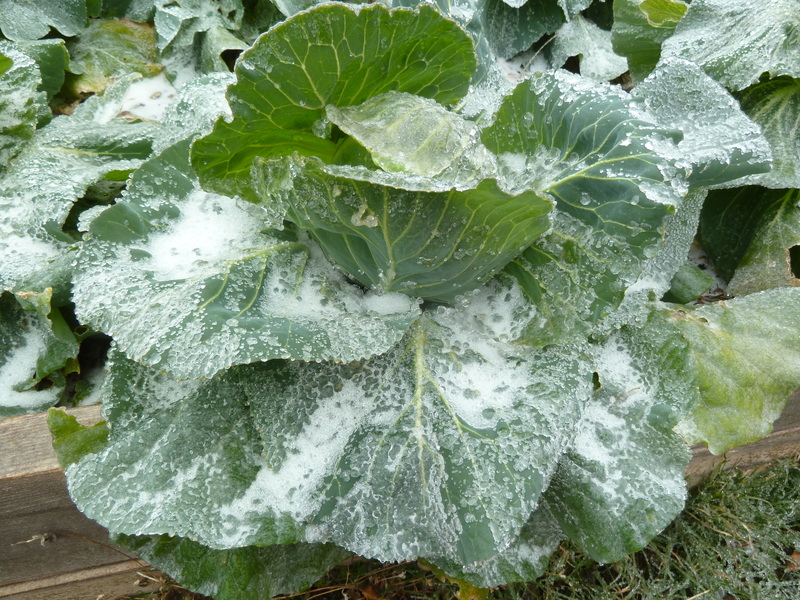 Have you had any luck growing second rounds of crops?